The Fiordland penguin (Eudyptes pachyrhynchus) or tawaki is believed to be one of the rarest penguins worldwide. It is one of six crested penguin species (Eudyptes spp. ), a group that has experienced significant population declines in the past decades. Climate change and associated reduction of oceanic productivity are likely an important determinant of population sizes in eudyptids. However, unlike most of its congener species that inhabit truly offshore, pelagic environment of the subantarctic regions, tawaki live and breed along the temperate, inshore southwest coast of New Zealand’s South Island. Compared to little and yellow-eyed penguins that also inhabit the New Zealand mainland, tawaki has a breeding range that is spatially restricted. It stretches from Haretaniwha Point, southern central West coast to Port Pegasus on Stewart Island – a mere 500 km of coastline. Yet, the species occupies a very diverse marine environment, probably the most diverse of all New Zealand penguin species. Along the West coast region (Haretaniwha Point to Martins Bay) diet studies suggest that penguins forage over the continental shelf (water depths <150 m) which extends between 10 to 25 km from the coast. This is different for tawaki breeding along the coast lines of Fiordland where the ocean floor drops to depths >1000 m within 3 km from land. Finally, Solander, Codfish and Stewart Islands in the species’ southernmost ranges are located in shallow waters often less than 50 m deep, which the penguins may prefer to forage in as a diet study from the 1990s suggest. 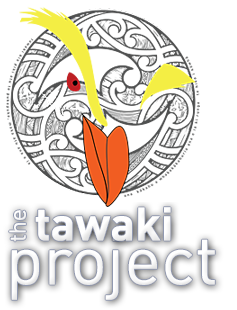 As a marine forager, tawaki have to adopt their at-sea behaviour to the local conditions. Considering the diversity of their marine habitat it is reasonable to assume that their foraging strategies will differ between sites. This in turn means that to fully understand how tawaki interact with their marine environment it is necessary to examine the plasticity of the penguins’ foraging behaviour across the different habitats. For an animal that spends more than 80% of its life at sea, foraging is obviously a critically important aspect of its ecology. The penguins’ access to adequate marine resources particularly during the chick rearing phase plays a significant role for population regulation. Yet we know next to nothing about tawaki’s marine ecology, their foraging ranges, which prey species they consume and at which water depths they forage. Critical information is missing to assess how human activities might impact on tawaki, be it ongoing climate change, fisheries activities or pollution of the marine habitat with mining effluents or oil-leaks.